Evie Nevin is a writer and disability rights activist living in Clonakilty, Co Cork. 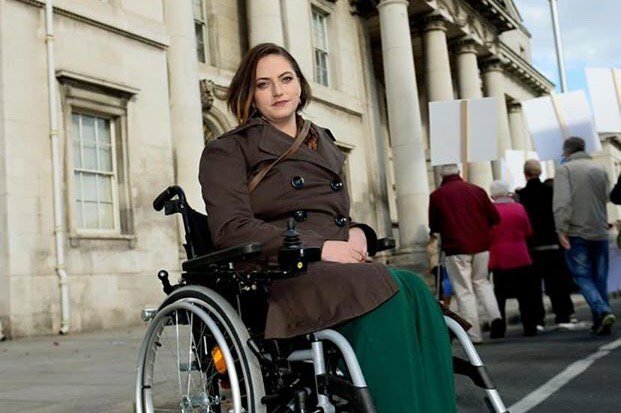 Evie founded and ran Disabled People Together for Yes during the successful 2018 campaign to repeal the Eighth Amendment. She traveled all over Ireland addressing public meetings on how the Eighth disproportionately affected people with disabilities in accessing abortion services. Since then Evie has continued to speak in public and to the media about how people with disabilities and chronic pain are affected by various aspects of society. Evie was brought up in Ballincollig and moved to Clonakilty at 17 with her parents and sister. She attended Griffith College and has a BA in Journalism and Media Studies. Other qualifications include diplomas in Forensic Science, Criminology, Web Design and Digital Marketing from CMIT. She is mother to Alex and Olivia and married to Martin. Evie and her children suffer from a rare genetic disease called Ehlers Danlos Syndrome of which there is no expertise in Ireland. Evie believes that everyone has the right to adequate healthcare regardless of their income, the right to a home that they can call their own and that everyone has a part to play in protecting the environment and improving accessibility for people with disabilities. Help Evie’s campaign by making a contribution. Anybody fancy helping me put up a few of these tomorrow evening? I'm putting up just 50 posters and I have SO many awesome plans to reuse them after the election. Ok that’s a bit scarey ! I spoke with the Corks RedFM 104-106 news team about the housing crisis here in West Cork. When we have people sleeping in public toilets and derelict buildings in the constituency, we know there is something very wrong with the current approach. Homelessness is not just a urban issue. The amount of people referred to Novas has been increasing steadily over the last couple years here in West Cork. Another fab day out on the campaign trail in Clonakilty. 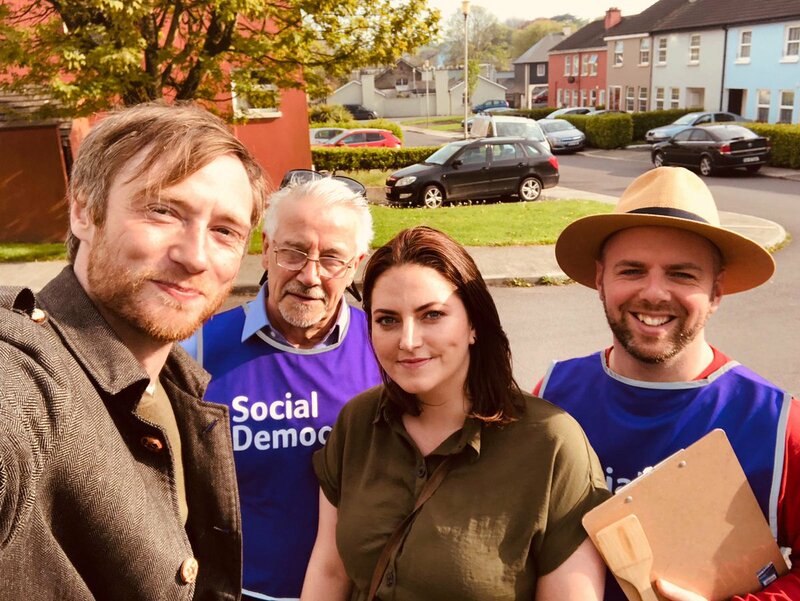 Even had one of our Galway candidates out with us today, John Crowley. If you'd like to join us, drop leaflets or help put up some posters, please let me know! I don't have a big political machine behind me like FF/FG/SF. I don't have unlimited resources. I am very much an underdog so any help would be greatly appreciated. Everything you need to know about me as a candidate is in this podcast. Listen and please consider giving me your no 1 on May 24! I spoke to @CorksRedFM news about the #housingcrisis here in #West Cork. Another great day out on the campaign trail. Big thanks to @GalwayJohnC for coming out with us. Catch me on @CorksRedFM news today talking about the #housingcrisis in #WestCork.